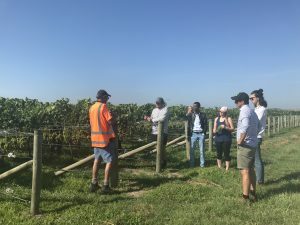 The joint Global Research Alliance – World Farmers’ Organisation annual study tour took place in New Zealand from the 26th January to the 1st February, 2019. 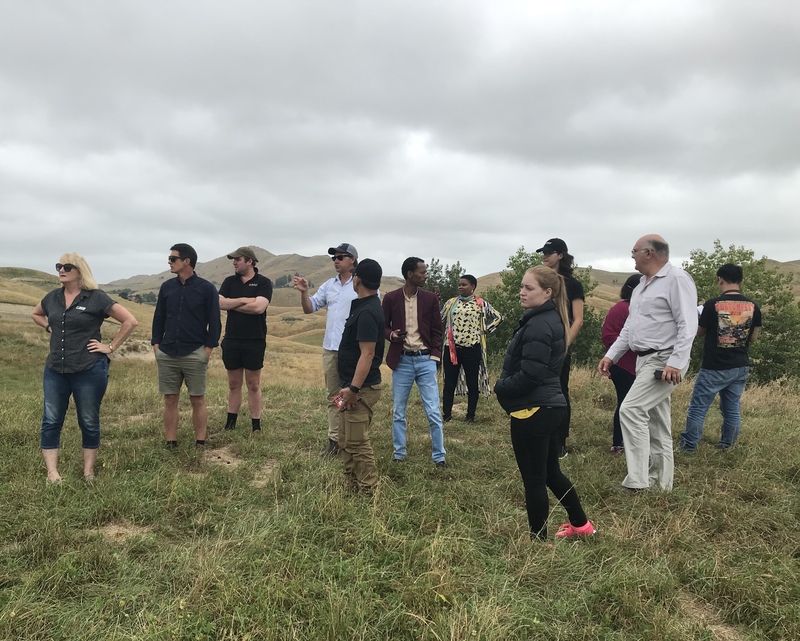 Farmers from Ethiopia, Kenya, Uganda, and South Sudan, representing the Eastern Africa Farmers Federation, alongside farmers from Indonesia, and the President of the World Farmers Organisation, travelled to Palmerston North and the Hawke’s Bay Region in New Zealand. On the tour participants learnt more about and discussed agricultural greenhouse gas emissions, environmental farming management, and sustainable agriculture. 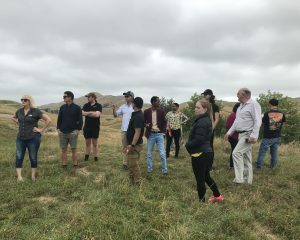 The group met with representatives from the New Zealand Agricultural Greenhouse Gas Research Centre (NZAGRC), Massey University, the Hawke’s Bay Regional Council, Ravensdown Fertiliser, and Plant and Food Research, as well as farmers and producers in the Hawke’s Bay Region. The New Zealand farmers hosting the group were pleased to showcase the diversity of production and innovation across the region, including sheep and beef farms, apple and blueberry orchards, dairy goats and high value cropping. Participants in particular noted the close connection between scientists, farmers, and policy makers and the commitment from farmers to care for their environment. The tour facilitated farmer-to-farmer discussion on sustainable management practices and innovative new technologies aimed at lessening the environmental impact of agricultural production. Participants were able to share their unique experiences regarding the challenges and opportunities farmers are currently facing across the globe. This was the fifth annual study tour to be held, and third to take place in New Zealand. Previous tours have also been held in Argentina and Italy. 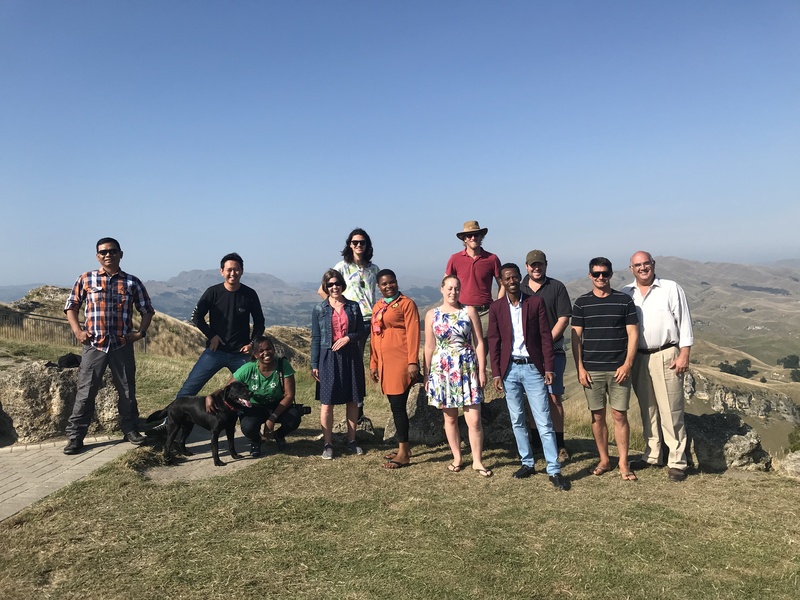 The purpose of the Global Research Alliance – World Farmers’ Organisation annual study tour is to increase understanding and engagement on agricultural greenhouse gas research and changing environmental management practices in order to support sustainable farming. Group photo taken at the top of Te Mata Peak, Hawke’s Bay, New Zealand. A Patangata Station, meat supplier located in the Tuki Tuki Valley, Central Hawke’s Bay. The group also visited Church Road Winery’s Redstone Vineyard. To read more about the tour, click here to visit the WFO website or click here to read an article by Federated Farmers. An opportunity for a Post-Doctoral Research Assistant has arisen at the University of Reading, United Kingdom. The School of Agriculture Policy and Development (SAPD) is seeking a Post-Doctoral Researcher to contribute to on-going collaborative research and knowledge exchange activities of the Animal, Dairy and Food Chain Sciences Research Group and the Centre for Dairy Research (CEDAR). The successful applicant will contribute to the research and knowledge exchange activities of CEDAR. Abilities to contribute to ongoing research in the areas of reducing environmental impact of animal production are important, including current research on multi-species forage production and utilization and measurement of digestive efficiency and methane emission, as well as the ability to further develop international research collaborations. The application deadline is February 22 2019 (UK time) so if you’re interest be sure to apply soon. The Global Research Alliance is pleased to announce Malawi as our newest member country. Malawi has become the 55th member of the GRA, and the eleventh African country to have joined the Alliance. In 2018, Malawi attended the Low Emissions Livestock: Supporting Policy Making and Implementation through Science in East Africa workshop, which was organised by the GRA together with the World Bank, the CGIAR Research Program on Climate Change, Agriculture and Food Security (CCAFS), and the Food and Agriculture Organization of the United Nations (FAO). The workshop focused on livestock production and the reduction of greenhouse gas emissions. Malawi is looking forward to working with other member countries to develop more efficient and sustainable agricultural systems to meet growing global demand for food. The Livestock Research Group’s Feed and Nutrition Network (FNN) seeks a qualified and self-motivated postdoctoral fellow from the Latin American region to work on a GRA flagship project related to reducing methane emissions from cattle using dietary approaches in a range of production conditions and environments. The work on the project is integrated with activities of the GLOBAL NETWORK and CEDERS projects and is an activity of the FNN. The project is coordinated by the FNN leader, based at Pennsylvania State University in the USA, and the postdoctoral position will be based at the Department of Animal Science, Agrosavia-Research Agricultural Corporation in Bogota, Colombia. For more, including the application process, please download the PDF. The latest issue of the Livestock Research Group (LRG) newsletter is available. A position in Greenhouse Gas Emissions and Mitigation is available at the Department of Agroecology, Section of Soil Fertility in Denmark. They are seeking an internationally competitive, innovative and successful research leader, who wants to work with highly engaged and motivated staff in a positive and dynamic international working environment. For more information about the position and how to apply – click here.